"Your Name in Bible Verse certificates are simply wonderful. I have one made for every new baby that is born in the family. My cousin in pregnant so I will be ordering another one soon. God Bless." "My granddaughter loves the Grandma Loves You certificate I gave her." "I hung mine in my bedroom and look at it first thing everyday when I get up. I love the verses and feel it gives me a blessed start to the day." There is nothing more personal than someone's name. There is nothing more personal than someone's name. 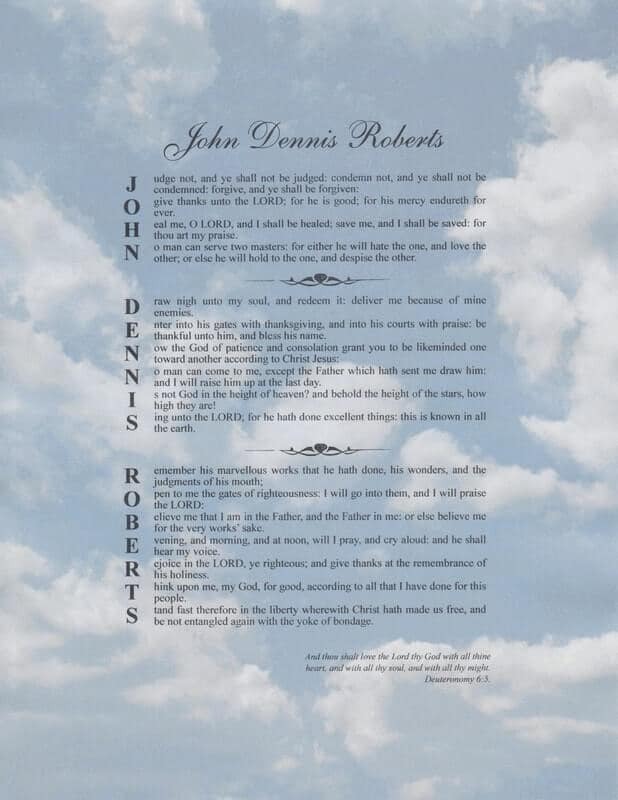 To have a gift of inspirational bible verses which spell out that name is uniquely meaningful. These Christian creations make perfect gifts for weddings, anniversaries, birthdays, baptisms, confirmations, Christmas, pastor appreciations...any occasion!